Twin Palms Publishers, Santa Fe, 2011. 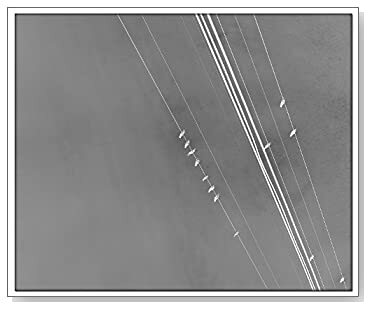 64 pp., 30 duotone illustrations, 6¾x5½". The city of New Orleans is a topographical/ architectural/material/cultural phenomenon with a diverse population participating in raucously colorful and fascinating pursuits and rituals. Homicide is a cultural fact of the life in the city as well. In her second book, Tooth for an Eye: A Chorography of Violence in Orleans Parish, Deborah Luster explores the city in a new way, creating a compelling portrait in the form of a photographic archive of contemporary and historic homicide sites. 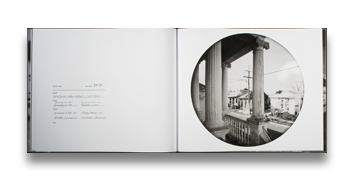 Following on from her first book, Prisoners of Louisiana, Tooth for an Eye explores the themes of loss and remembrance in a series of tondo photographs that offer an opportunity for the viewer to enter deeper into the idea of the city, a place where life and death coexist, neither free of the other’s influence. Read George Slade's review of Tooth for an Eye in photo-eye Magazine.